Timers for Restaurant Kitchens are a critical piece of equipment for cooking. 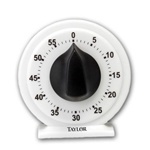 Our restaurant supply Timers are tough and durable for use in hot, humid kitchens. The Commercial Timers have been used for years in restaurant kitchens to know when things are cooked and ready. 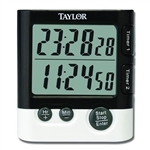 Timer Digital Dual Event Clock - 7 in. There is nothing more frustrating than burning food in the kitchen because you got distracted and forgot to take it off the stove or out of the oven in time. Buy your Timers from the leader in restaurant supply. Wholesale Timers are much more durable than retail ones for long lasting cafeteria use.